Become a Dance the Distance® instructor and raise money for charity! 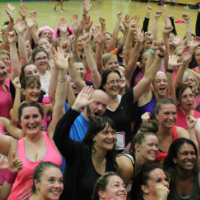 Dance the Distance® offers instructors the chance to build their own event and raise money for their chosen charity. It’s a great way to attract new people to your classes and keep regular participants engaged. Dance the Distance® is a product of EMD UK, the national governing body for group exercise in the UK. 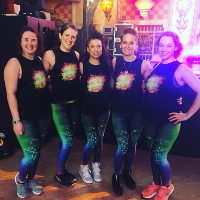 With the boom in recent years of running events as a way of raising vital charity funds, EMD UK identified the need to provide alternatives for those who wouldn’t naturally choose to run and would rather dance! The aim is to get more people enjoying group exercise whilst raising money for a range of good causes. Dance the Distance® is a great way to boost your income, attract new class members and bring all your regular participants together! Participants pay to take part* and EMD UK collect this money and pay it to you as part of the licence process. You can choose any charity to be the beneficiary of your fundraising. Participants are encouraged to fundraise as they would for any charity 5km running event or challenge. EMD UK have done some of the hard work for you by creating the choreography, tracking the distance and sourcing a brilliant playlist. Just learn the moves using the choreography notes and videos, add your own personal touches and deliver your inspiring dance fitness event! You can expect to be on the move for just over an hour with several breaks and rest stops. The 5km is broken down into single kilometre blocks and you celebrate each one in style! 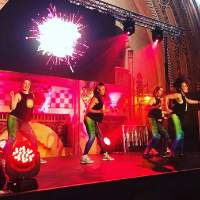 There is a variety of dance moves and music throughout – something for everyone from classic dance-floor fillers, through the decades and up to the present day. *Entry fee for any Dance the Distance® events is £10 per person. Be one of the first Dance the Distance® instructors in the UK! Dance the Distance® can only be delivered by licensed instructors. Your comprehensive licence pack includes everything you need to get your event up and running! From choreography to marketing resources, we’ve done the hard work so you don’t have to. No ongoing monthly licence fee! Just one simple payment of £79 + VAT gets you all you need! Promotion of your event by EMD UK. Instructors are key to delivering a great Dance the Distance® event. Ideally, you will have your Exercise to Music or a similar qualification. As a minimum, you need to have some basic dance fitness training (such as the Zumba B1 or similar). Dance the Distance® has been created in an exercise to music format using the beat and phrasing of the music. The ideal Dance the Distance® instructor has great cueing and coaching skills as well as boundless energy and excellent movement quality. Experience of teaching dance fitness is essential. All material is trademarked and protected and is strictly for use by licenced instructors only. Sharing or selling is strictly prohibited under copyright law. Got some questions? Download our handy FAQs here. Interested in becoming a Dance the Distance® instructor? Buy your pack now! Got some questions? Message our Dance the Distance® team now! Log into your account on the EMD UK website here. On your ‘My Homepage’, click on the blue box entitled ‘Buy or Book’. Click on the blue book entitled ‘Buy a Dance the Distance® Instructor Pack’. Fill in your details. Don’t forget to specify which size instructor top you would like. Enter any discount codes you have and fill in your payment details. You will be emailed your receipt. Your CD, DVD and top will be sent via post and you will receive access to your online Dance the Distance resources within five working days. Register your online account here (you’ll need an account to access your resources). Choose a username and password that are easy to remember but secure! Go to your inbox and click the link within your email to activate your account.